After the winter we’ve had, I think it’s a pretty safe bet that almost I hope everyone (or at least everyone in my little corner of the world) is pretty much over snow. In fact, I was almost afraid to bring it up. 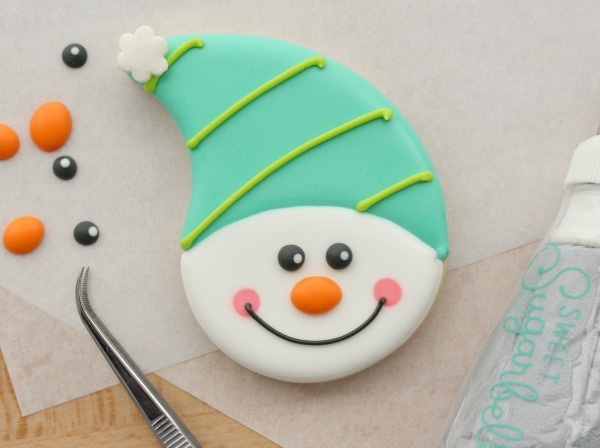 But these snowman cookies are so cute, you might just forget what a pain real winter can be. 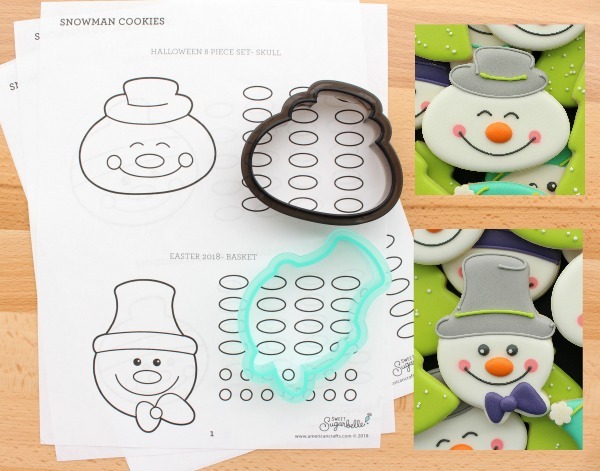 Today, I’m sharing seven free printable snowman templates and royal icing transfer sheets, usable with the cutters pictured below. 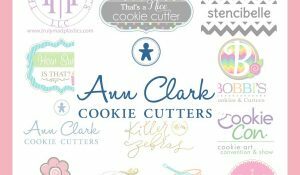 Before I go over the cutters and designs, I want to share a quick overview of how my printable templates work. It’s easier than you might think, and adaptable to many decorating styles. First, print out the free templates, then cut into sections. I usually give specific cutting instructions in more detailed tutorial posts, but if you are unsure of where to cut, leave a comment below and I’ll help you out. 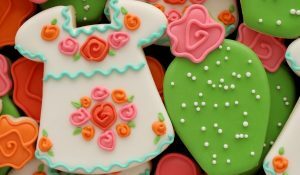 If you have specialty decorating tools such as a Pico Projector or a Kopykake, you can skip tracing, and project the image directly onto the cookie. 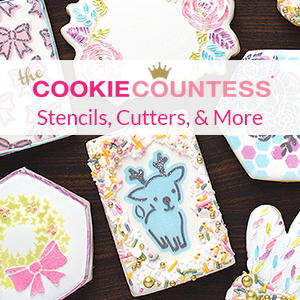 In addition to design templates, the printables also include royal icing transfer sheets. 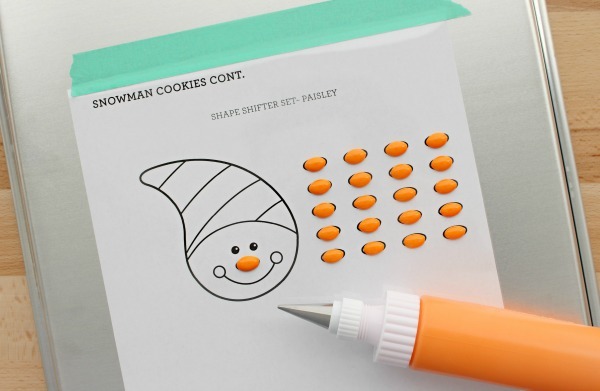 I’ve always liked icing transfers for decorating, but in the last two years I’ve come to love them even more. First of all, transfers are a great way to use up leftover icing. 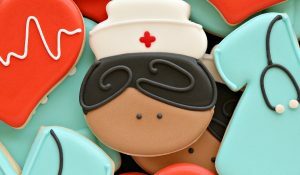 They also significantly reduce the chance of icing craters, bleeding, and more! But more about that later. I’m anxious to get to the best part, the actual cookie designs! 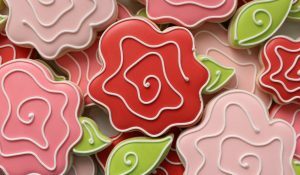 There are a total of seven templates and six designs, (the ornament design comes in a small and large size). Get yours by clicking here. The first two cutters are my 2017 Halloween Collection skull and the basket from my newly released Easter collection. The next two cookies were made with my “eyeball” cutter, another Halloween 2017 design, and a simple oval. 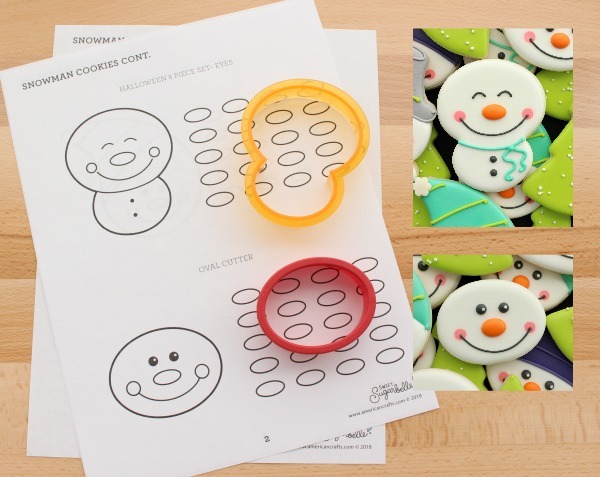 I used my favorite oval cutter, but this is easily adapted to the Sweet Sugarbelle Nested Oval Set or any other similar shape. 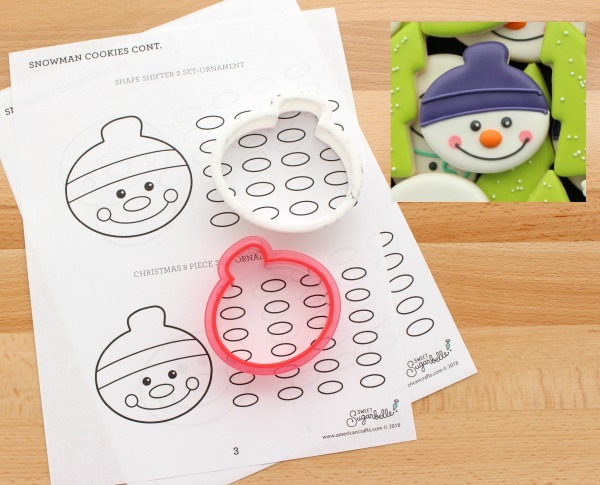 Next is the ornament snowman, one sized to fit the larger cutter included in ShapeShifters 2, (available April 2018) and the smaller version from my 2017 Christmas Collection. And finally, my favorite, a fun spin on the paisley cutter from the original Shape Shifters Set! I liked him so much, I had to do step-by-step tutorial. To check it out, click here. The designs are detailed enough to stand alone, but also make a beautiful collection. 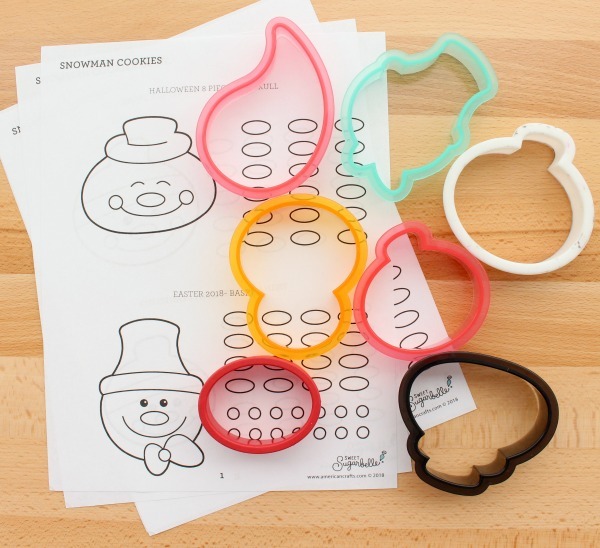 So, the next time a snow day has you down, make the best of it and celebrate with cookies! It will warm your house, and your heart. *Some cutters, such as the 2017 Halloween and Christmas were Michael’s exclusives, and not currently available, but you can often find them on Ebay, and they will likely return next fall! Each one is so adorable! Your creativity never stops! I store them in a little Rubbermaid-type take and toss plastic container. 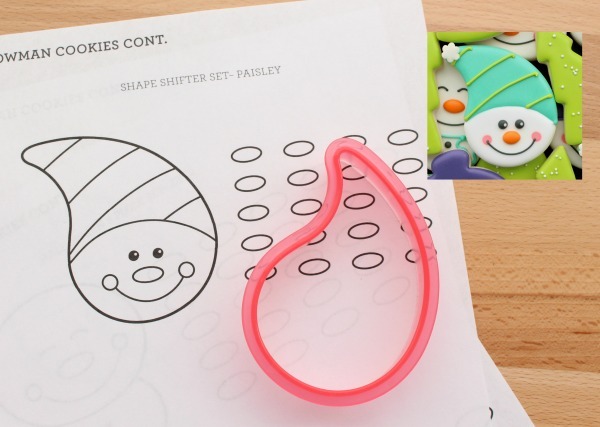 You can layer them between sheets of wax paper, or not, depending on how delicate they are. Some decorators recommend storing them in a cardboard box in a dark, dry place (to prevent humidity damage and fading), but that has never been an issue for me. As for how long they last…indefinitely. They are basically candy once dried, and have are about as shelf stable as a peppermint, lol. You are seriously so creative and brilliant! “skinny” Christmas tree from ~ i cannot find it anywhere!